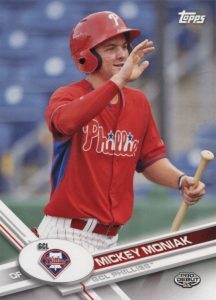 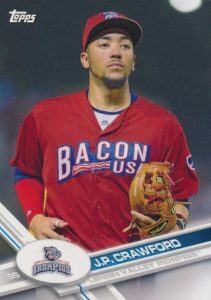 As one of the few choices left in the hobby that utilizes short prints without going overboard, the 2017 Topps Pro Debut Baseball variations keep to a fairly tight list. 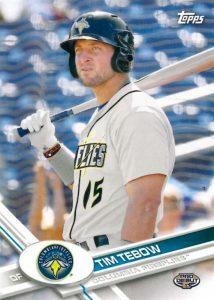 Featuring only ten names, the group is actually just nine variations with one SP card for Tim Tebow. 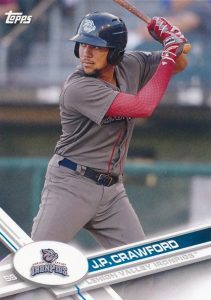 Found on the final 2017 Topps Pro Debut Baseball checklist, half the work is already down for collectors given that all the players are identified ahead of time. 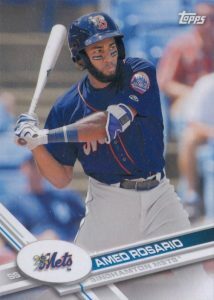 The only thing left to do is distinguishing the base cards from the variations, and this guide does just that. 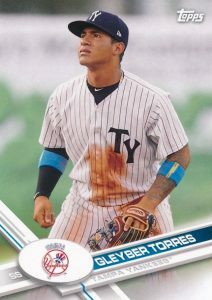 Shop for 2017 Topps Pro Debut Baseball Variations on eBay. 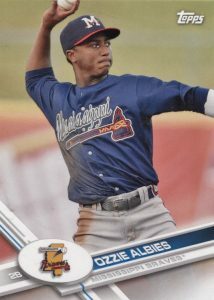 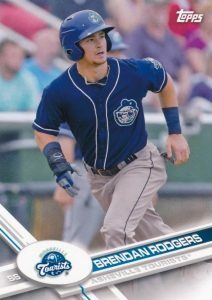 The most obvious way to spot the 2017 Topps Pro Debut Baseball variations is by the image on the front of the card. 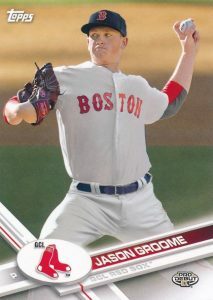 All things considered, it's pretty simple. 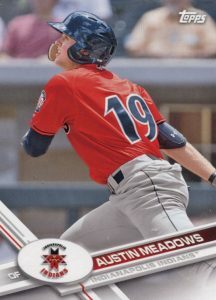 Base versions are shown below on the left, while the variations occupy the spot on the right. 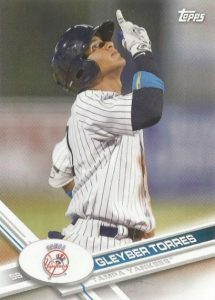 For Tebow, there is just the one card. 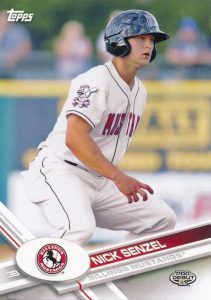 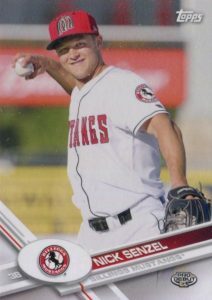 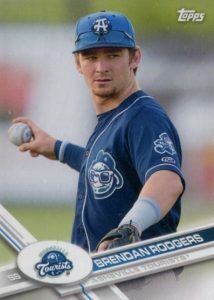 However, as his first licensed MiLB card, this will likely remain the most popular option in the set. 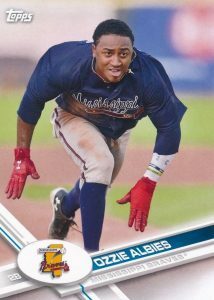 Another helpful tip available to collectors who aren't sure if they have a variation comes on the card backs. 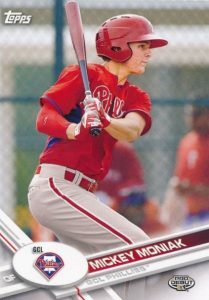 Topps includes a #CMP code on the reverse of most cards, and, more often than not, these can be used as a cheat to determine the variations. 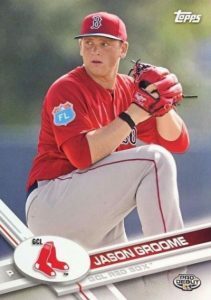 Checking in at 1:101 packs, the variations are fairly tough pulls but not impossible. 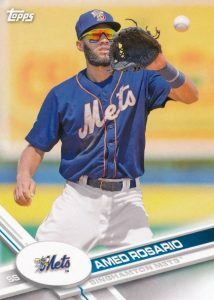 The Tebow short print is more difficult at 1:505 packs. 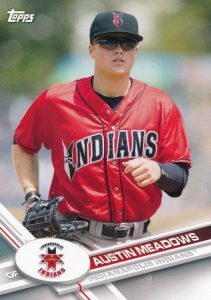 There are also limited parallels such as one-of-one Black editions for the 2017 Topps Pro Debut Baseball variations.